If you have been affected by cancer, Cancer Council Queensland can provide you with information regarding a range of support groups operating across Queensland. There are groups for most types of cancer, including brain tumour, breast, prostate, colorectal, lung and head and neck cancers as well as non-specific cancer support groups. While Cancer Council Queensland does not run or manage these support groups, we can provide you with contact details for independent, face-to-face support groups in your area or for interstate Cancer Council online and telephone support groups that may be suitable for your needs. A support group can occur face to face, on the phone or online and consist of three or more people who come together regularly and voluntarily to discuss shared experiences and find support among each other. Support groups provide an opportunity for people to share their experiences and feelings with others who are going through similar experiences. The group leader or facilitator may lead a discussion about particular topics or experiences. A meeting could involve laughter, tears, empathy, acceptance and learning something new. Groups can also help participants become more informed about cancer-related topics, such as treatments, side effects, exercise and nutrition, relationships and life after cancer. Most groups regularly invite speakers to present topics of interest at meetings. Guest speakers may include doctors, nurses, psychologists, dietitians, naturopaths and pharmacists. 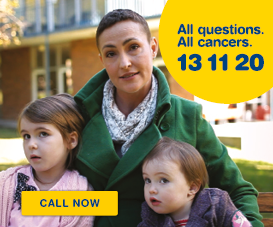 To find out what support groups are available in your area, call Cancer Council on 13 11 20 or e-mail 131120@cancerqld.org.au. 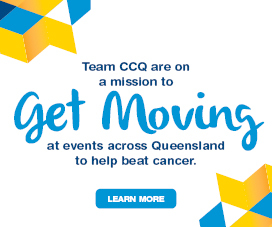 Cancer Council Queensland acknowledges the importance of independent support groups in supporting those affected by cancer in the community, and is able to provide information and resources to new and existing support group leaders. Our key resource for support group leaders is Cancer Support Groups: A guide to setting up and maintaining a group. This resource contains information and tips for managing a support group at all stages of the groups life-cycle. You can download the resource here. Cancer Council Queensland offers training for support group leaders. This training package includes information on how groups can operate in alignment with some of Cancer Councils key positions and values – e.g. 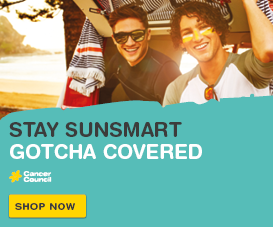 SunSmart, Smoke-Free, and Position on Complementary and Alternative Therapies. Support groups that are members of the Support Group Recognition Scheme are those that are independent, have completed support group leader training, and have agreed to operate in alignment with Cancer Council’s key positions and values. Recognised support groups also receive a number of benefits including use of a recognition statement, limited provision of printing, and venue use as appropriate. If you would like to know more about our Support Group Leader Training, or how your group can join the Support Group Recognition Scheme, please call 13 11 20 or email communityactivities@cancerqld.org.au.